You could have grounds for a medical malpractice claim against your doctor if he or she misdiagnosed your nasopharyngeal cancer. You could file for medical malpractice if a doctor misdiagnosed nasopharyngeal cancer in you or your loved one. When a doctor does not recognize the warning signs of nasopharyngeal cancer and fails to order further testing to confirm or rule out the presence of the disease, cancer remains inside your body, where it can grow, metastasize, and become more difficult and painful to treat. In a worst-case scenario, death or long-term damage can result. Your doctor should be held accountable for putting you through this, and a nasopharyngeal cancer misdiagnosis lawyer can help you make sure that happens. At Medical Malpractice Help, our medical malpractice lawyers have a track record of pursuing successful claims against doctors who fail to diagnose cancer. We offer free case evaluations, where we can meet you to discuss your situation. To schedule an appointment right away, call us at 855-633-2757. If You Had Symptoms or Risk Factors, Your Doctor Should Have Diagnosed Your Nasopharyngeal Cancer. Consume large amounts of alcohol. If your doctor failed to order any of these tests and misdiagnosed your cancer, it could be considered medical malpractice. We Will Investigate Your Misdiagnosis and Try to Build a Strong Medical Malpractice Claim. Our team takes on doctors who misdiagnose nasopharyngeal cancer, holding them accountable for their wrongdoing and helping our clients win the fair compensation they deserve. To win your case, we must prove four things. The Doctor Owed You a Duty of Care. Doctors owe each of their patients a duty of care. We can show that yours owed you one by proving you had a doctor-patient relationship. We do this by showing that the doctor agreed to treat you or provide medical services. The Doctor Breached His or Her Duty of Care. A breach of the duty of care happens when a doctor does not act in a way that a reasonable physician in the same situation would have. With the help of expert witness testimony and other evidence, we can show that your doctor breached his or her duty by demonstrating that another physician in the same situation would have made the proper diagnosis of nasopharyngeal cancer. You Suffered Injuries as a Result. By linking your doctor’s failure to uphold his or her duty of care to an injury or complication you suffered, we can show that your doctor’s negligence caused you harm. Typically, what we will show is that since your doctor misdiagnosed or failed to diagnose your nasopharyngeal cancer, you did not receive the prompt treatment you needed to keep the condition from growing and spreading. The last step involves showing that your injury caused you to incur economic and non-economic damages. Economic damages involve actual financial losses, like medical costs, lost wages, and reduced earning capacity. Non-economic damages are more subjective, such as pain and suffering. Our attorneys can determine how much compensation you are entitled to based on your damages. Schedule a Free Consultation With a Nasopharyngeal Cancer Misdiagnosis Lawyer by Calling 855-633-2757. The Medical Malpractice Help team focuses on this area of law. 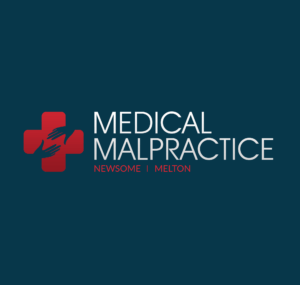 We can investigate your medical malpractice case and help you pursue compensation from your doctor after a nasopharyngeal cancer misdiagnosis. We offer free consultations, at which we evaluate your case and answer all your questions. Call us at 855-633-2757 to schedule an appointment.